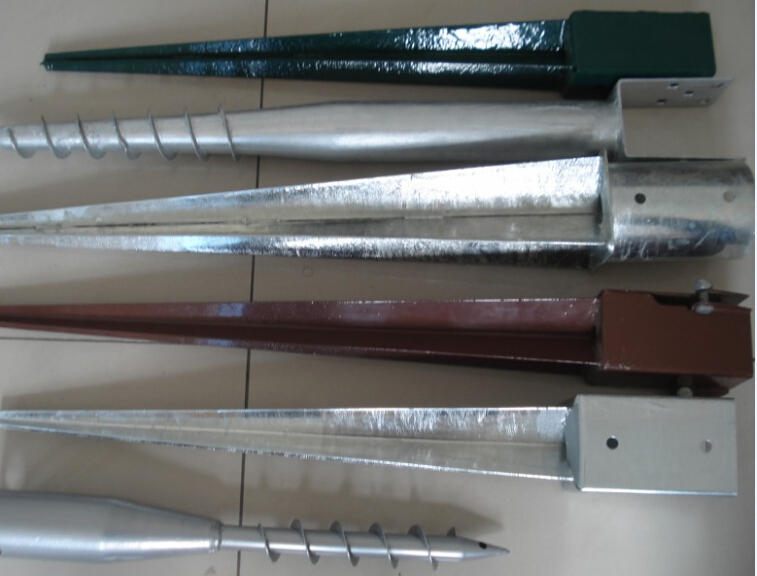 Product categories of Pole Anchor, we are specialized manufacturers from China, Pole Anchor, Screw Pole Anchor suppliers/factory, wholesale high-quality products of Steel Pole Anchor R & D and manufacturing, we have the perfect after-sales service and technical support. Look forward to your cooperation! Pole Anchors are anchor holder, steel holders or post holers, are used for holding or fixing the wood stakes to keep it straight and bot being destroyed. The material of the holders is low carbon material , thickness is usually 2mm to 5mm, surface treatment is galvanized or powder coated. There are many types of holder in our shop. common spikes, TT holders, U holders, adjustable anchors , screw anchors and etc. We have gotten CE certificate on the holders, we can make sure of good quality of the anchors. Please shop easily on ours.